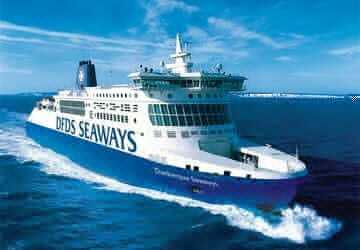 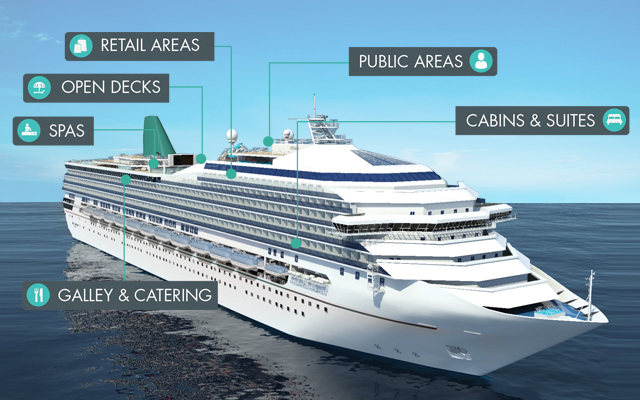 Trimline were recently awarded the contract to undertake the planned three year programme to update all public spaces on the DFDS D-Class ships. 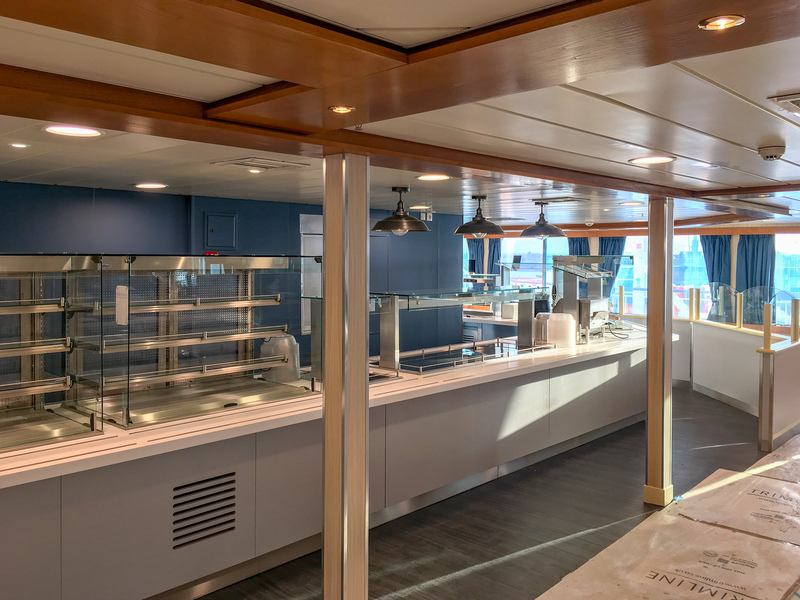 During phase one of the programme which has just been completed in Dunkirk, Trimline worked closely with designers SMC to give the ships a modern and fresh new look, in line with the other successful refits carried out by Trimline on the DFDS C-Class ships. 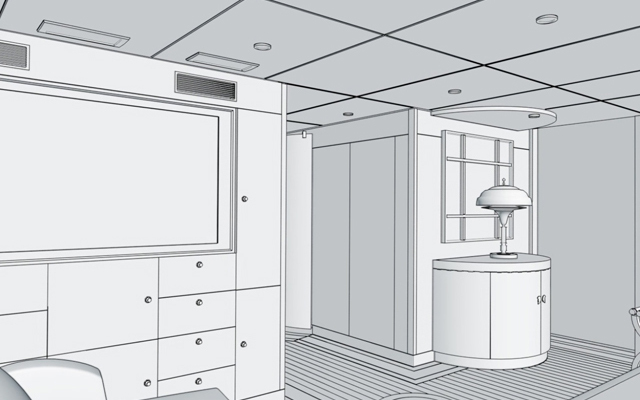 Phase one saw Trimline completely remove everything aft of and adjacent to the shops on both port and starboard sides. 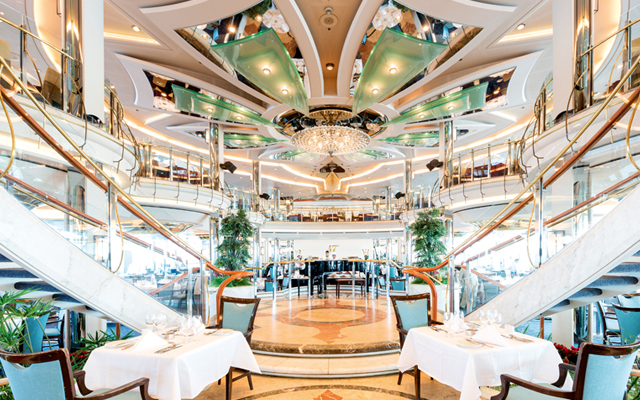 This included seating areas, port and starboard servery’s, flooring and toilets. 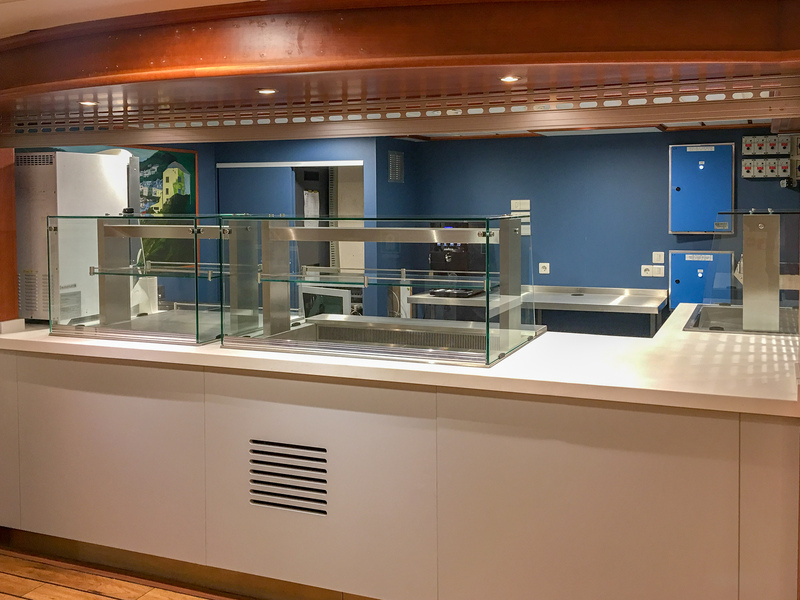 Also the installation of new tables, chairs, flooring, lighting, servery’s, toilets and bulkhead finishes.